The leaves are changing, winds are coming and you've RSVP'd to a wedding or you're the plus one. Ever been confused about the dress code on a wedding invite for a fall wedding? Don't worry. You’re not alone. We made this handy guide to explain all those suggestions, so you’re not that underdressed guy in the wedding photos. See how to decode any fall wedding, right here. Choosing an outfit for a fall wedding isn’t rocket science, but it can be tricky. Below we’ve broken down the most common dress codes. From classy to casual, here are the basics. This one is the dressiest of the bunch. 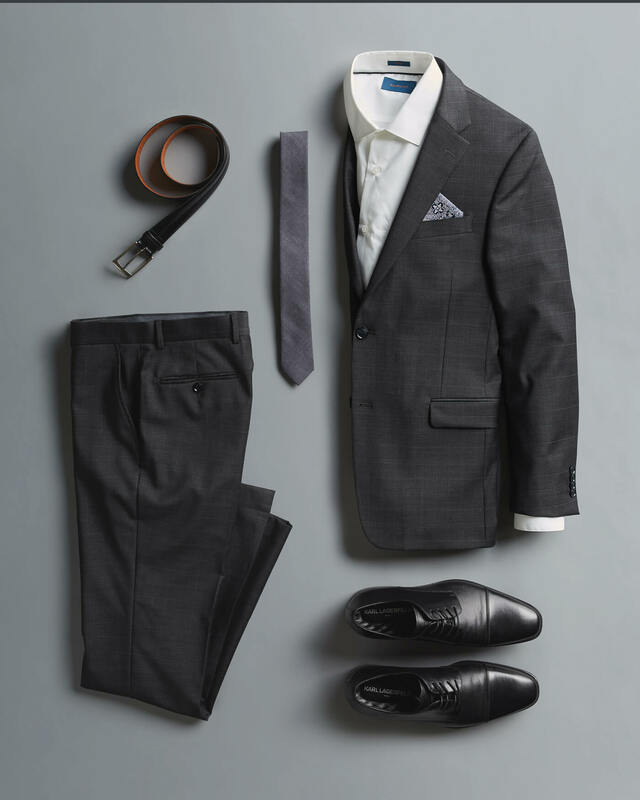 We recommend a dark suit with black shoes. It’s right on point for fall too—with the dark hues that match those shorter days. You might have a little wiggle room with the shirt and tie if nothing is explicitly stated in the invite, but you can never go wrong with a crisp white shirt and dark-colored tie. This one is like a formal dress code but a touch more casual. A blazer over a button-up shirt and dress pants is a tried-and-true look. 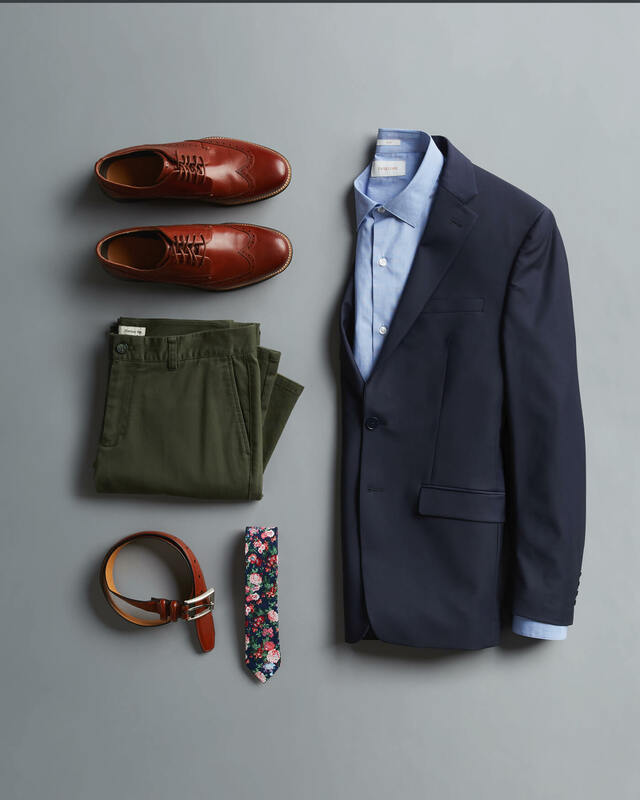 You can be a little more creative with your shoe and tie here—like a cool printed tie or combining two (or more) colors together. Aim for looking good but still being comfortable. Translation: you don’t have to follow the rules as long as you look put-together. Your outfit can be on the trendier side here. This suggestion is typical for weddings with a younger crowd. A sports coat and dress pants are still good bets. Mix it up with a printed tee. On the scale of casual to formal, dressy casual falls on the relaxed side. You’re probably safe with a sports coat over a button-up shirt. 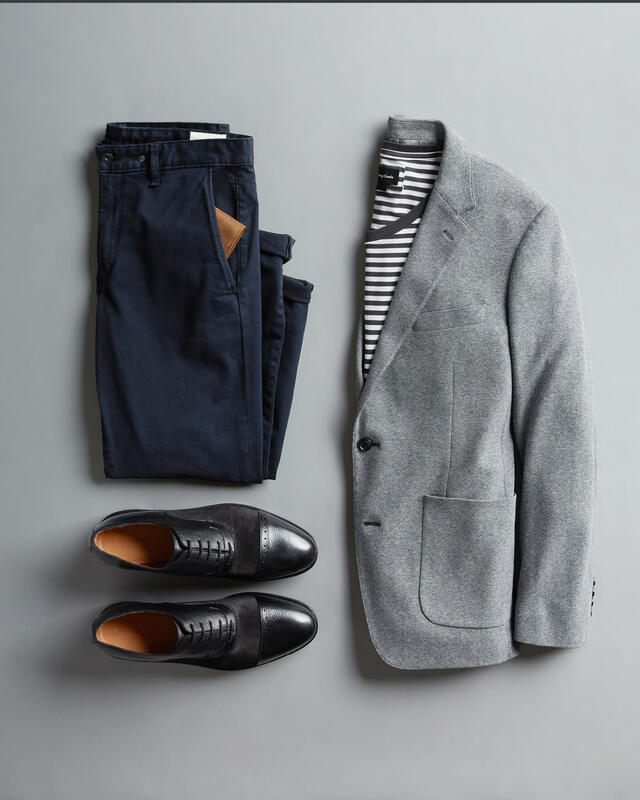 You don’t necessarily need dress shoes if the outfit works, but it’s worth checking. Fall is all about rich hues and warm neutrals. If you want an alternative to black but you’re having trouble deciding on one, try navy, olive green, taupe or brown. 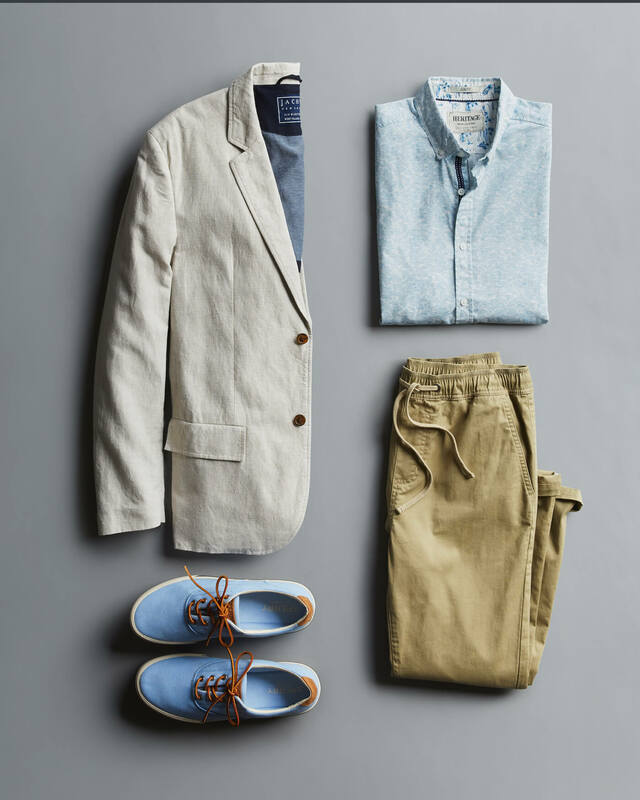 Working in elements of these colors will be a subtle nod to the season (and they photograph well). This is a for nice photos but entirely optional. Ask your date what they are wearing and try to complement the color. It doesn’t have to be a perfect, as long as they go together. If you’re unsure, a lighter or darker shade of your date’s color will work. Make sure you consider the weather and venue. An outdoor wedding, especially in the evening, can get cold. A jacket should suffice, but it’s always good to be prepared. On the other hand, a crowded venue can get hot and stuffy. Keep this in mind when choosing your outfit. We hope this cleared up the basics. If you still have questions, you can always reach out to another guest or the married-couple-to-be for more details. Let us know what you think in the comments below. Ready for your new look? Tell your Stylist you’re headed to a wedding.